Silicone serum – should we use it? Whenever we encounter serious problems with our hair such as damaging treatment at the salon or exposure to strong sunlight, it is a good idea to reach for a hair serum. Serum is able to bring tremendous effects instantly. Is this treatment worth the money? What about the infamous silicones, which are present in almost every serum? Should we include them in our hair care? To find the answer to those question, make sure to read the article carefully. Silicones – a blessing in disguise? Let us start from the beginning – the silicones in every serum. We are slowly drifting away from the deceiving opinion about the harmfulness of silicones. It is common that they are unsafe and only weight the hair down. However, it is only a myth passed on from one person to another. 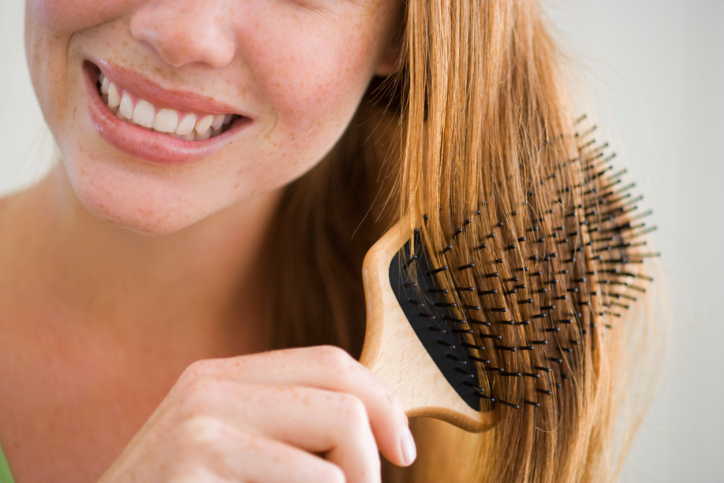 The easiest way to explain it, is to use examples of different types of hair care. It is worth remembering that every product that will be overused, or used inappropriately, may bring opposite effect to what you expect. It this case, it does not matter whether we are talking about silicones or proteins. The belief about the danger of silicones is based on improper application to the hair. Silicones are not harmful, on the contrary, they have many positive qualities! It is very hard to find a serum without silicones. Consider this as a result of the effectiveness of the substances that fill cavities in the structure of the hair and coat each strand with a protective layer, instantly. In order to let the serum be effective and make it an instant remedy for arising hair problems, it is necessary to combine some silicones with other useful ingredients. Unless you want to wait weeks to see any results, especially when it comes to split ends, a silicone serum is a must! What is more, if you need to get rid of frizz from your hair, silicone serum will be the best solution due to its smoothing and strengthening properties. Before an important date or a party, if you are worried that your hair will become messy, simply use silicone serum. Without any dose of silicones, we will not be able to obtain such results. Due to the fact that the products containing silicones we now consider the best ones, it is worth mentioning how to properly use them. The most popular and at the same time, the most effective method is to double the serum. It means that we have to apply the serum twice – firstly, right after washing and towel-drying your hair and secondly, after blow-drying your hair. Why do it this way? The first application provides thermal protection of wet hair, which minimises the harmfulness of hot air coming form the dryer. The second one makes your hair silky smooth and glossy. It is perfect for setting most of your favourite hairstyles.